Product code: 330 Categories: Sold Items, Sold Watches. 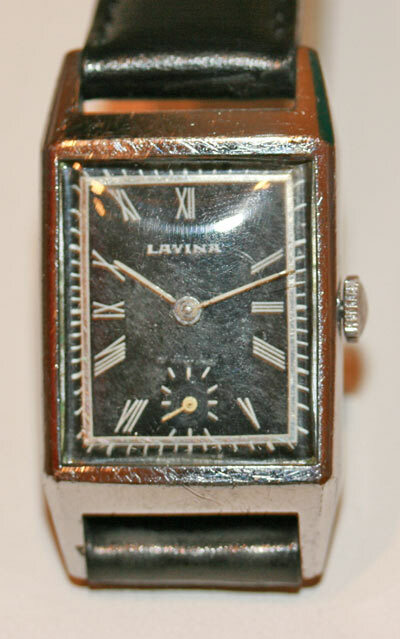 This Lavina from the 1940’s has the most wonderful rectangular case. Made in stainless steel, the case measures 40mm x 23mm, making it a wonderful and easy to read size. The black dial is all original, and with the Roman numerals and sub-seconds, it is a style that is very popular with todays watches. 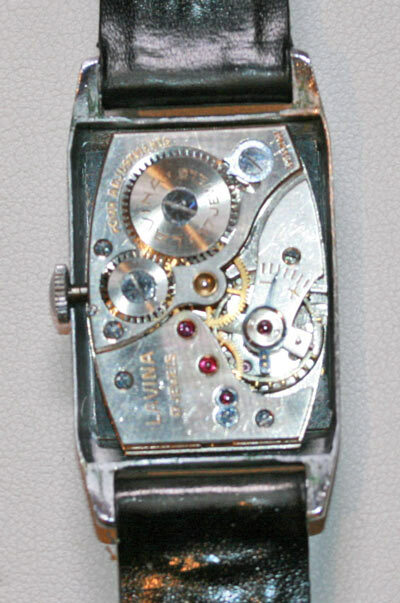 The 17 jewelled movement is adjusted to 4 positions, and has been serviced and comes with a warranty.